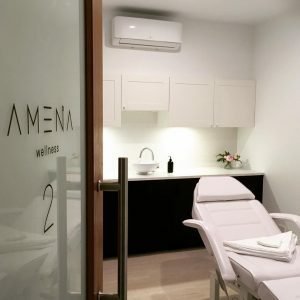 Skin needling is an advanced and effective treatment for a healthy youthful appearance; that’s why at Amena Wellness Clinic, we are proud to offer skin needling in Tweed Heads. As we age, the skin usually loses its smoothness and elasticity due to slow collagen production. However, the skin is still capable of renewing new collagen with a little boost. 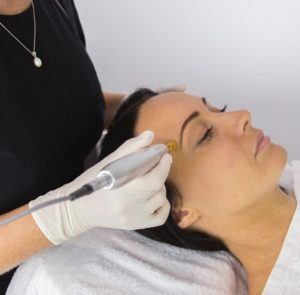 Skin needling is one of the effective non-invasive procedures that can help improve various skin conditions. We also offer cosmetic care skin treatments that keep you looking young and vibrant. This cosmetic skin care treatment is usually applied on the face. However, other areas such as the neck can also be treated. We begin the procedure by applying a topical anaesthetic to minimise any chances of pain. This is done 30 minutes before skin needling. 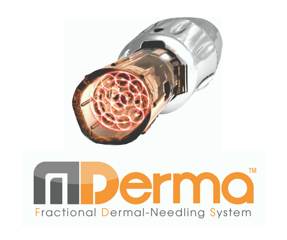 We then use Mderma to make small picks under the skin. Mderma is a safe and high-quality device that is even ideal for sensitive areas such as around the eyelids and lips. The treatment takes around 30 minutes. We then apply a calming treatment after the procedure. You should not apply makeup or lotions on the day of the treatment. The idea of having small needles pricking your skin might sound scary. However, when performed by a professional, the process is usually painless. You may experience some discomfort, minor redness or mild swellings that usually go away in a few days. The swelling or redness is usually due to the natural response to the slight injuries resulting from the procedure. For fast recovery, you should avoid excessive sun exposure and saunas until the redness fades away. The number of sessions needed depends on the skin condition. Our cosmetic skin care specialist will give you an estimate on initial consultation and advice on the best course of action. Typically, 4-6 treatments are required for skin rejuvenation, 6 treatments for acne scars and 4- 8 treatments or stretch marks. 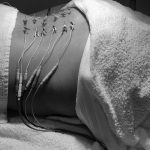 The treatment is minimally invasive and requires little downtime, if any at all. Results are usually visible after the first treatment. The conditions improve with each subsequent session until the desired result is achieved. Picture: Some of the amazing before and after results we have achieved, case study is 50 year old female with just 3 treatments. Skin needling treatment is safe and can be used on all skin colours and types. However, it’s not suitable for pregnancy, warfarin, keloid scarring, roaccutane, acute eczema and hypersensitive skin. Also, you cannot go through the treatment if you have an open wound. Where Can I Get Professional Skin Needling Services in Tweed Heads? If you need a professional cosmetic skin care treatment, Amena Wellness Clinic is the place to get the best skin treatments. Our experts are experienced and licensed and are always ready to assess your skin concerns and help you achieve your goals. Contact us on 07 5536 2243 for a skin needling consultation in Tweed Heads and we will walk you through the procedures.